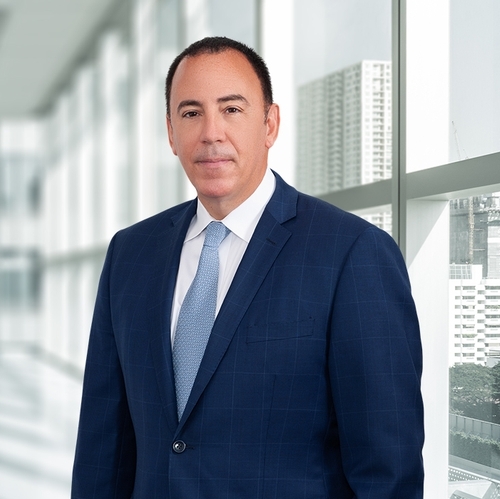 Marc, Chair of the Environmental Department, is a transactional, business attorney, who focuses his practice in development, redevelopment, environmental compliance cases, corporate transactional matters, land use, zoning and business counseling. Admitted to practice in New Jersey and New York, he has represented numerous national developers, manufacturers, cogeneration facilities and utilities, automobile dealerships, lenders, borrowers and municipal boards in myriad land use contexts, including commercial and residential development and due diligence matters. He also focuses on complex remediation cases and general environmental compliance counseling. He has significant experience in ISRA, Spill Act, LSRP, UST and related hazardous substance regulatory matters and redevelopment of contaminated sites. Marc is originally from New York City and was raised in Holmdel, NJ. He attended Christian Brothers Academy, University of Richmond and Seton Hall Law School. Marc is the author of The Remediation Wire, a blog devoted to a broad range of environmental news, laws, regulations and upcoming events in the environmental field. Marc is also the co-author of New Jersey Redevelopment Blog, a blog devoted to news and updates regarding all Redevelopment matters, laws, news and updates throughout New Jersey. While attending Seton Hall University School of Law, Marc received the Raymond del Tufo Award for highest achievement in Constitutional Law. Named The Best Lawyers' 2014-15 Woodbridge Area Litigation - Environmental "Lawyer of the Year"
How does Governor Christie's signing of Assembly Bill No. 4543 affect environmental cleanups in NJ? With the privatization of the Site Remediation Program in New Jersey, is there nonetheless an opportunity for responsible parties to obtain an "alternative cleanup remedy?" NJDEP Appoints Marc Policastro To Off-Site Source Investigation Documentation Committee of NJDEP's Technical Guidance Group. Is it possible to obtain a "No Further Action Letter" from the State of New Jersey where, in fact, "further action" is definitely required by someone? Are lenders really insulated from environmental liability merely because the lender is a "secured party" and not an "owner or operator" under the New Jersey Spill Act?" Do parties responsible for environmental cleanups in New Jersey have a method to seek a "variance" or "exception" from strict application of a regulation? Has privatization of New Jersey's remediation program afforded developers and re-developers free reign to formulate remediation strategies without any checks and balances in place? If you want to sell a property or business that qualifies as an "industrial establishment" in New Jersey, is it permissible to close the transaction first, and then clean-up the site after closing? If you own or operate contaminated real estate in New Jersey, is it possible to cleanup the property without the State of New Jersey's direct oversight, that is, on a private basis? In New Jersey, if groundwater contamination exists above applicable cleanup standards, is it always necessary to fully remediate groundwater to meet applicable cleanup standards?